Gucci is an Italian luxury brand of fashion and leather goods. Gucci was founded by Guccio Gucci in Florence, Tuscany, in 1921. Gucci generated about €4.2 billion in revenue worldwide in 2008 according to BusinessWeek and climbed to 41st position in the magazine's annual 2009 "Top Global 100 Brands" chart created by Interbrand; it retained that rank in Interbrand's 2014 index. Gucci is also the highest-selling Italian brand. Lenoir was born in Les Ulis, Essonne, France. Her mother comes from the French island of Réunion in the Indian Ocean, and has Malagasy ancestry. Her father is a French retired electrician who later divorced her mother. Her family moved first to Gif-sur-Yvette and then to Palaiseau where she was discovered and started her career in modeling. Les Ulis is a commune in the Essonne department located in the southwestern suburbs (banlieue) of Paris, France. It is 23 km (14 mi) from the centre of Paris. Essonne is a French department in the region of Île-de-France. It is named after the Essonne River. Growing up in a banlieue district near Paris, which she describes as a "ghetto", Lenoir was first spotted at the age of 17 in 1997 when she was approached by a Ford booker in a post office. She signed with L'Oréal in 1997, and has since appeared in their advertisements alongside Laetitia Casta and long-term model and actress Andie MacDowell. She has also worked for Victoria's Secret, Gap, Next, and many others. In France, a banlieue is a suburb of a large city. Banlieues are divided into autonomous administrative entities and do not constitute part of the city proper. For instance, 80% of the inhabitants of the Paris metropolitan area live outside the city of Paris. Like the city centre, suburbs may be rich, middle-class or poor—Versailles, Le Vésinet, Maisons-Laffitte and Neuilly-sur-Seine are affluent banlieues of Paris, while Clichy-sous-Bois, Bondy and Corbeil-Essonnes are less so. However, since the 1970s, banlieues has taken on an additional meaning in French of France, becoming a popular word for low-income housing projects (HLMs) in which mainly black immigrants and French of foreign descent reside, in what are often called poverty traps. The Ford Modeling Agency, or as it is known today Ford Models, is an American international modeling agency based in New York City. It was established in 1946 by Eileen Ford and her husband Gerard W. Ford. Marks & Spencer Group plc is a major British multinational retailer headquartered in Westminster, London that specialises in selling clothing, home products and luxury food products. It is listed on the London Stock Exchange and is a constituent of the FTSE 100 Index. Dame Lesley Lawson is an English model, actress, and singer widely known by the nickname Twiggy. She was a British cultural icon and a prominent teenage model in swinging sixties London. Laura Bailey is an English model and writer. Born in London, England, she has modelled campaigns for Guess jeans, L'Oreal, Jaguar, Jaeger, Marks and Spencer, Bella Freud, Radley and Temperley London. Bailey also works as a writer and has written for Vogue, Harper's Bazaar, Vanity Fair, Glamour, The Independent, The Daily Telegraph and The Sunday Times. She is a Cultural Ambassador for the British Fashion Council and an Ambassador for Oxfam. In September 2011, Bailey was announced as a contributing editor to British Vogue. She also writes a blog for Vogue.co.uk. In 2007, Lenoir featured in the hit film Rush Hour 3 alongside actors Jackie Chan and Chris Tucker. In 2009, Lenoir featured in the music video for Usher's single "Hey Daddy (Daddy's Home)". Usher Raymond IV is an American singer, songwriter and dancer. He was born in Dallas, Texas, but raised in Chattanooga, Tennessee until moving to Atlanta, Georgia. At the age of 12, his mother put him in local singing competitions, before catching the attention of a music A&R from LaFace Records. 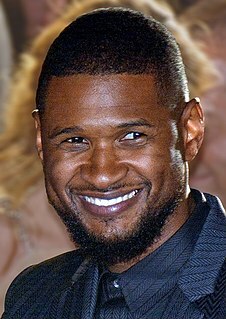 He released his self-titled debut album, Usher (1994) but rose to fame in the late 1990s with the release of his second album My Way (1997). It spawned his first U.S. Billboard Hot 100 number-one single, "Nice & Slow", among top-two singles "You Make Me Wanna..." and "My Way". 8701 (2001) produced the number-one singles "U Remind Me" and "U Got It Bad", as well as top-three single "U Don't Have to Call". It sold eight million copies worldwide and won his first two Grammy Awards as Best Male R&B Vocal Performance in 2002 and 2003. "Hey Daddy " is a song by American R&B singer, Usher. The song is the first single in the United States from Usher's sixth studio album Raymond v. Raymond, following the buzz single "Papers". The song was written by longtime Usher collaborator Rico Love, Usher, Plies and The Runners and it was also produced by the Love and The Runners. The remix version of the song, featuring Plies, was released to radio stations on December 8, 2009, and subsequently available for digital download on December 15, 2009. A second remix was released, featuring Jadakiss, on February 5, 2010 with a different beat that samples the 1997 hit by Lord Tariq and Peter Gunz, "Deja Vu ". Stomy Bugsy is a French rapper and actor from Sarcelles, France. Virginie Fernandez, known by her stage name Virginie Ledoyen, is a French actress who has appeared in French, British and American films. Dita Von Teese is an American vedette, burlesque dancer, model, costume designer, entrepreneur, singer, and actress. She is credited with re-popularizing burlesque performance, earning the moniker "Queen of Burlesque". Stephanie Michelle Seymour is an American model and actress. Jessica Taylor is an English singer, television personality, and dancer who was a member of the Brit Award-winning pop group Liberty X.
Claude Makélélé Sinda is a French football manager and former professional player who played as a defensive midfielder. He is the head coach of Belgian First Division A club Eupen. Miranda May Kerr is an Australian model. Kerr rose to prominence in 2007 as one of the Victoria's Secret Angels. Kerr was the first Australian Victoria's Secret model and also represented the Australian department store chain David Jones. Kerr has launched her own brand of organic skincare products, KORA Organics, and has written a self-help book. Paula Hamilton is an English model. She is best known for her appearance in the classic 1987 Mk II Volkswagen Golf TV advert Changes. In 2006, she returned to public recognition as a judge on Britain's Next Top Model, for two cycles. Irina Valeryevna Shaykhlislamova is a Russian model. Shayk received international recognition in 2007 when she became the exclusive contracted face of Intimissimi lingerie. She appeared in the Sports Illustrated Swimsuit Issue and was also the first Russian model to grace its cover in 2011. Models.com ranks her as an "Industry Icon". Rosie Alice Huntington-Whiteley is an English model, actress, designer, and businesswoman. She is best known for her work for lingerie retailer Victoria's Secret, formerly being one of their brand "Angels", for being the face of Burberry's 2011 brand fragrance "Burberry Body", for her work with Marks & Spencer, and, most recently, for her artistic collaboration with denim-focused fashion brand Paige. Lucy Gordon was an English actress and model. She became a face of CoverGirl in 1997 before starting an acting career. Her first film was Perfume in 2001 before going on to have small roles in Spider-Man 3, Serendipity and The Four Feathers. Gordon had played the actress and singer Jane Birkin in the film Gainsbourg, a biopic of singer-songwriter Serge Gainsbourg. Before the film was released, she was found hanged in her flat in Paris on 20 May 2009 after dying by suicide. Paris Hilton's British Best Friend is a British reality television show where Paris Hilton searches for her new British best friend and is the second incarnation of the My New BFF franchise. The series aired on ITV2. Filmed in December 2008 and premiered on 29 January 2009 and consisted of eight episodes. The first episode received 428,000 viewers with 2% share, according to overnight figures. Tom Nicon was a French male fashion model who modeled for a number of clients including Louis Vuitton, GQ and Vogue. He took part in shows for numerous high fashion brands and was most famous for being the "face" for top UK fashion house Burberry. Kristin Prim is an American fashion designer, visual artist, and publisher. She is the founder and designer of luxury lingerie house, Lenoir. Previously, she was the editor in chief and founder of A23, The Provocateur, The Advisor, and Prim Magazine. Prim attended Parsons School of Design, where she majored in Design and Management. Hayley Marie Kohle was a Canadian fashion model active in the 2000s. She worked internationally with contracts with agencies in Canada, United States, Greece, Italy, Turkey, Germany and the United Kingdom, before dying at the age of 26 by suicide. Nichole de Carle is a British fashion designer best known for her lingerie and swimwear brand of the same name. ↑ "Noemie Lenoir - Model". MODELS.com. ↑ "Noémie Lenoir", 18 March 2009, NRJ (in French). ↑ "The truth about why M&S model Noemie Lenoir tried to take her own life" 15 May 2010, Mail Online . ↑ "Suicide-bid M&S model Noemie Lenoir goes home after drugs and alcohol overdose". Mail Online. 15 May 2010. ↑ "Former M&S model Noemie Lenoir looks the picture of health as she soaks up the sun in Miami". Daily Mail. London. 3 March 2011. 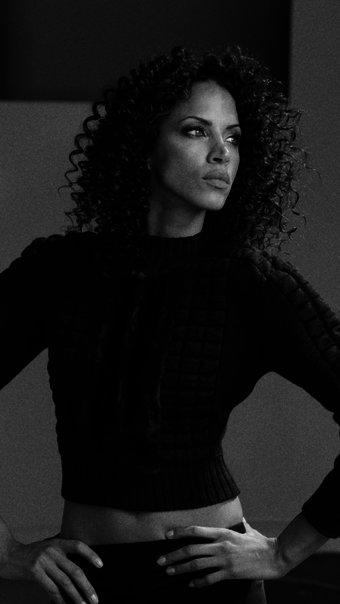 ↑ "Models 1: Noemie Lenoir – Portfolio". Models 1 . Retrieved 29 April 2011. ↑ "Claude Makelele enjoys the first holiday with new WAG after splitting from M&S lingerie model Noemie Lenoir". Daily Mail . London. 19 June 2009. ↑ "M&S lingerie model Noemie Lenoir falls for rap mogul Russell Simmons after love split". Daily Mail. London. 24 June 2009. ↑ Hodge, Katie; Clarke, Josie (13 May 2010). "M&S model Noemie Lenoir recovers after 'suicide bid'". The Independent . ↑ "Marks and Spencer's model Noemie Lenoir 'attempts suicide'". The Telegraph . 12 May 2010. ↑ "Model Noemie Lenoir Attempts Suicide in Paris". Indiavision news. May 12, 2010. ↑ news=386 "Top model Noemie Lenoir 'attempts suicide' in Paris", peoplestar.co.uk. Retrieved 12 May 2010. ↑ "Why are so many models attempting suicide? Lives of top catwalkers fraught with pressure: experts", NY Daily News , 18 May 2010. ↑ isk8uk. "Marks & Spencer Christmas Advert 2009" – via YouTube. Wikimedia Commons has media related to Noémie Lenoir .